Thanks to the slick tools in Articulate Storyline, it’s easy to create interactions that let learners dive right into the learning experience. Some of the coolest interactive examples we’ve seen lately have engaged learners by showing them equations and calculations in action. 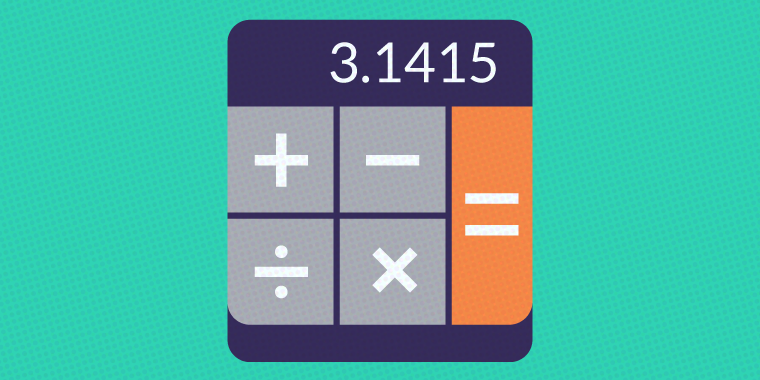 Adding calculators to your project is also a great way to give learners personalized info. For example, what if you’d like to include BMI info in a health and wellness course? No problem! Ask learners to input some simple info and you can give them personalized feedback about their BMI. Go old school with a classic example by Dave Mozealous. It’s the first fully-functional calculator created in Storyline, and shows you that the sky’s the limit with variables! Give learners a personalized experience with this BMI Calculator by David Lindenberg. Try David Charney’s robust calculator, which lets learners perform math and calculations right in your project. Watch how Preston Ruddell’s equation calculator uses Storyline to perform a specified equation on numbers input by the learner. Check out three ways to calculate square roots in Storyline in this dynamic example by Alphonso Hendricks. And when you’re done, be sure to share your project in the forums! I recently created a custom calculator to calculate the size of a room, minus the toilet, vanity and bath plus 10% so retail bathroom sales people can calculate the area of a room for underfloor heating. Based on the final result they select the appropriate kit.